I'm back with another great freebie. 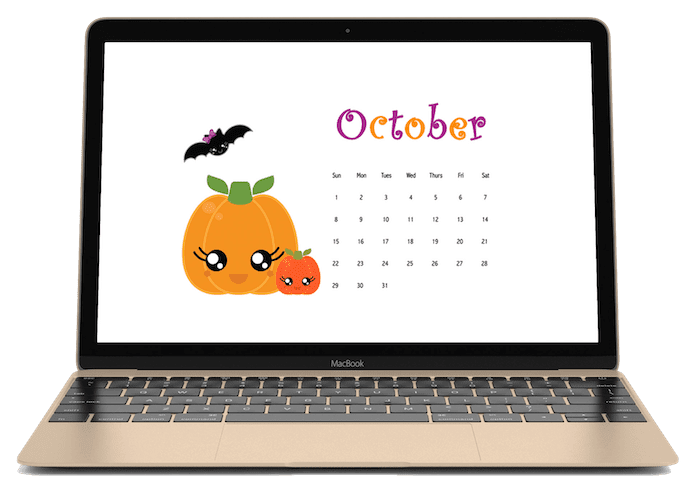 This October 2017 calendar wallpaper features some of my Halloween Kawaii clipart! I just finished making a 12-page autumn mandala colouring book. 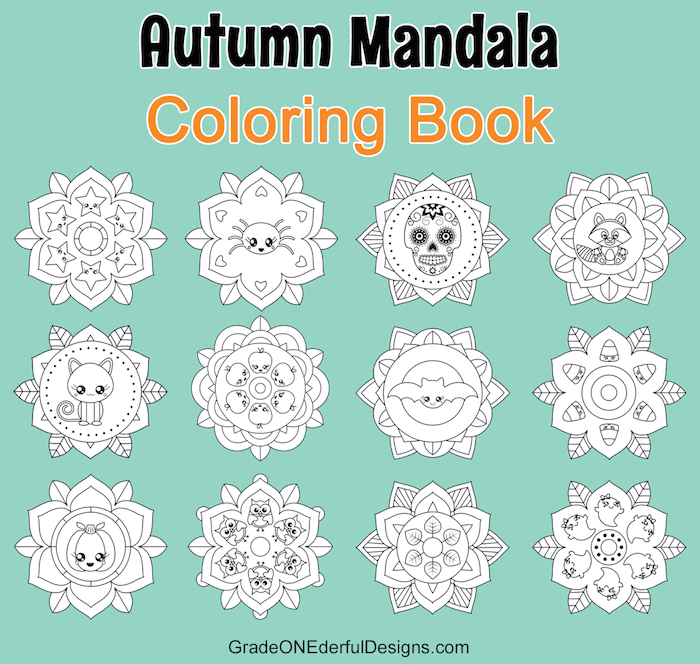 It features a variety of unique and pretty mandalas with either an autumn or Halloween image in the middle. 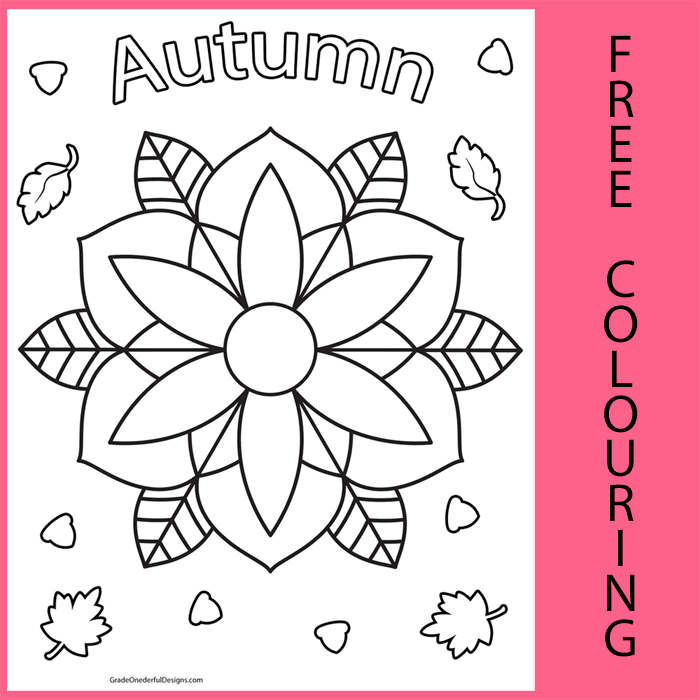 I think the colouring pages are perfect for 5 to 7-year-olds ... and maybe younger and older children depending on their colouring skills and tastes. I have some free social media icons for you today. This "pretty in green" set comes in two sizes: 50 px and 400 px. 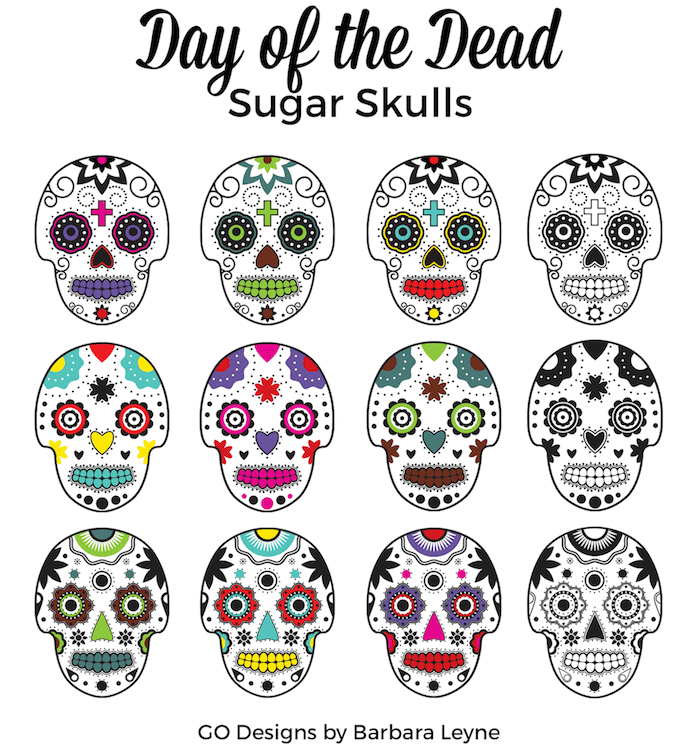 I have some new sugar skulls clipart to show you. I've been meaning to make these beauties for over a year! I just love all the different variations you can see online now. The first time I saw a sugar skull I have to admit it kind of creeped me out. But the more I really looked at them and started to appreciate the colours and artistry, the more I started to love them. As I'm sure you already know, sugar skulls are part of the Day of the Dead Mexican holiday (when deceased family members are honoured). I did a little research and learned that the sugar skulls (calaveras) are either decorative and made of clay, or edible and made out of sugar. The calaveras made out of sugar are decorated with coloured icing, beads, foil and feathers! Both types of skulls are made for children or for altar offerings. 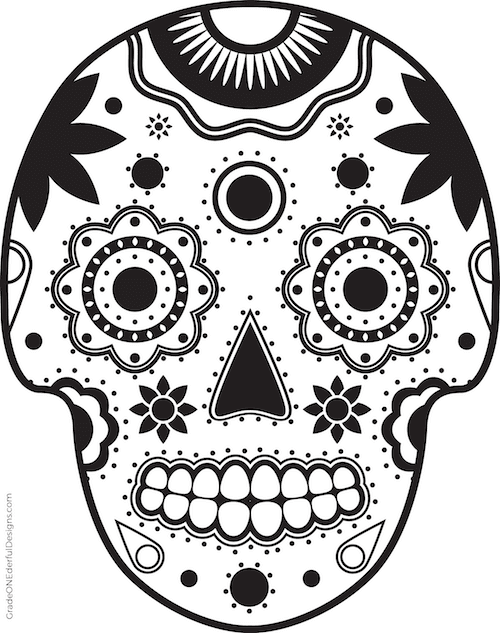 If you do a quick google search you can find tons of sugar skull recipes! In any case, I hope you like my version of the sugar skulls. If you decide to purchase you'll receive 12 images in all (8 by 10 inches). Nine of them are coloured and three are black and white. There are three styles each done in three different colour palettes. View Sugar Skulls on Teachers Pay Teachers. View Sugar Skulls on Etsy. 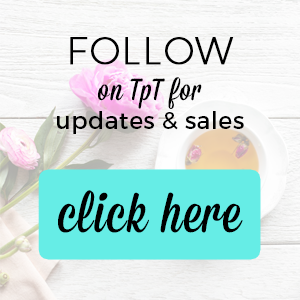 PS Don't forget to check out all my free goodies! PPS I have a free colouring sheet for you. This comes from the clipart set.